The Somnowell Chrome is warranted for 5 year form the date shown on the patient statement / delivery note. To fit the models on which it is constructed at the time of delivery to the prescribing dentist. Against defects in materials and manufacture. The original split cast working models must be returned with the device. Accidental damage or breakages occurring outside of the mouth. Device distortion, breakages or damage due to jaw parafunction, bruxism, wear and tear following use. A returned device which has altered in shape or fails to fit the original working models is confirmation of the presence of bruxism, jaw parafunction. Failure of the device to fit the mouth, where the oral anatomy has been changed e.g. tooth loss, tooth movement, new or replacement restorations. 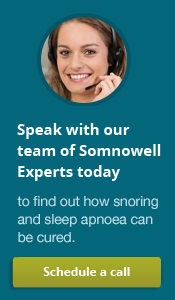 Device failures where the prescribing practitioner has not adopted the advice as provided on the Somnowell web site or has chosen not to adopt the device designs recommended by Somnowell Ltd. prior to manufacture. The warranty does not cover repairs or alterations made by unauthorised persons. The device should be returned to the original prescribing clinician. Somnowell Ltd reserve the right to alter the terms of the warranty without notice.